Orange tabby cats are such a beautiful color, but did you know it takes a special set of genetics for an orange tabby to be born? I am going to share some meow-nificence facts about orange tabby cats that might surprise you! You could show me any breed of cat, and I am probably gonna love it! I think that cats are all so unique, and they each have a special print and color to them, that you just can’t help but be in awe of them! I have always had a special love for orange tabby cats! We would occasionally see an orange tabby in our litters from our mama cat, Buttons, as a kid. But, sadly we could never keep them alive. It is like as soon as they were outside they would run away or something bad happened to them. As a kid, I always dreamed of having a special and rare orange tabby cat to love on! Tabby is not a breed of cat, it is simply the markings on the cat. I think sometimes people think that tabby is a breed, but it is really just the design on the cat. A tabby is very similar to the brindle coat you see on dogs. 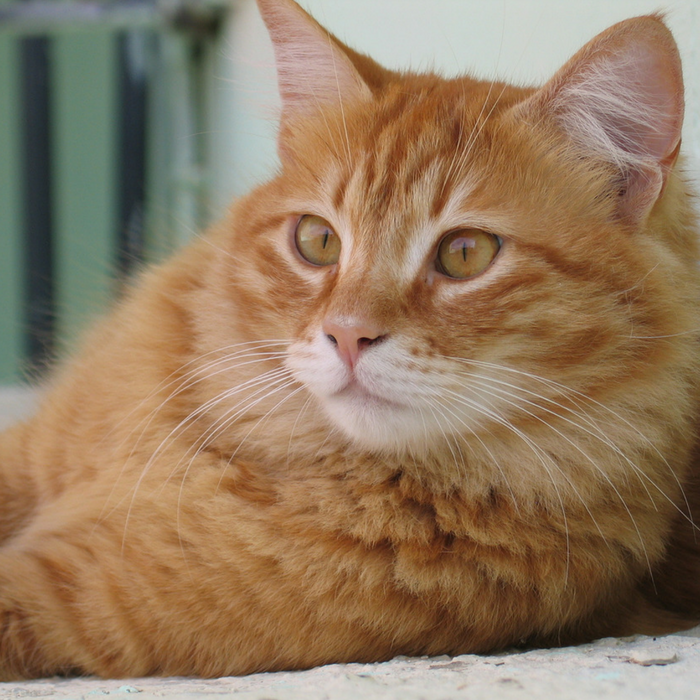 If you are a cat lover, like me, you might be interested to find out some interesting facts about orange tabby cats you may not know about! When I say orange tabby, I mean it can range anywhere from a red to orange color and even a lighter yellow! You might be shocked to see that most orange tabby cats have a letter “M” on their foreheads! This is the different colors of shading that make it into a shape of a letter, M.
A lot of orange tabby cats will have black freckles on their nose! This is a fun and unique trait! If your cat is an orange tabby and has freckles let me know! I think that would be adorable! When baby Jesus couldn’t sleep, he was comforted by an orange tabby according to this legend. This orange tabby made such an impression on Mother Mary that she kissed his forehead, and that is where the letter “M” comes in on most orange tabby cats. As a result, the letter “M” marking is supposed to show a sign of Mary. 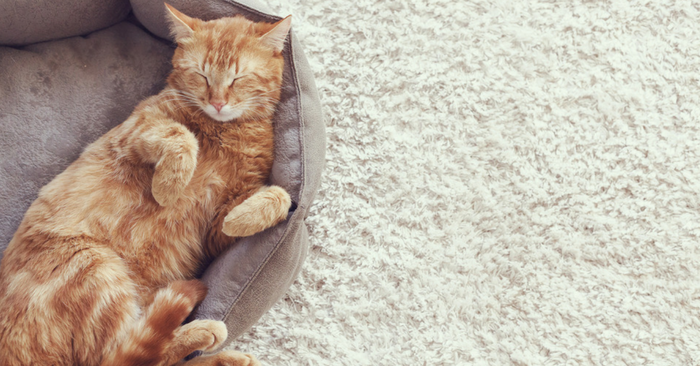 Orange tabby cats take being low energy to a whole new level. Most cats generally are low energy once they are out of the kitten stage. But, orange tabby cats are extra mellow in most cases. More than 75% of orange tabby cats are males! Pretty crazy, right?! Most orange tabby cats love to eat, and they can become overweight pretty easily. If you have an orange tabby, they are one of four patterns. Swirl, spotted, striped and agouti patterns are the pattern designs on their coats. 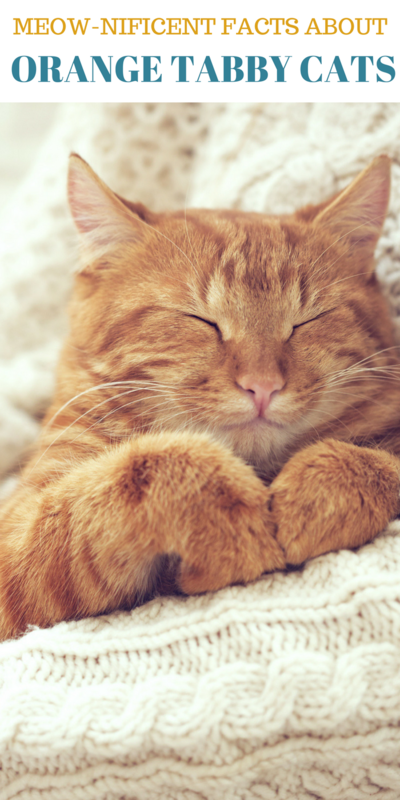 Pretty interesting facts about orange tabbies! They seem like a special breed and extra sweet! Do you have an orange tabby cat, if so what is its name? I’ve had an orange Tabby since he was a kitten. He is now 17 and about 3 years ago he came down with Diabetes. He gets insulin shots twice a day and is doing well. And you are right, he loves to eat (he’s not overweight) and sleep. His name is Tigger. Aww, I’m sorry to hear about Tigger! Seems like the perfect name for a Tabby, though. I’m sure when he was a wee little guy he bounced about just like his namesake. I have an orange tabby. Her name is Pebbles. She is one. Pebbles! LOVE! I’m sure you get asked a ton if you’re going to get a kitty named Bam Bam anytime soon. I have an orange tabby his name is Fayt. So interesting, definitely like the unique spelling of his name. I have an orange tabby and his name is Stinker. My son saved him as a kitten from being abused. Because of the abuse as a kitten he had gotten frostbite on the tip of his tail and he is always cold. But when he was brought home he was a little stinker with my other cats. But he grew out of that stage and became a snuggler and loves to sleep under the covers with you. He is such a lover to people but he likes to push my girl fur babies around. But he is awesome with my autistic grandson!!!! I am soooooo blessed to have him as a fur baby!!!! I wish I could post a pic of him for you to see. Hi, Danielle! Feel free to post a pic of Stinker on our Facebook page, Crazy Cat Lady. He sounds adorable! How special that your son saved him! Sounds like one amazing kitty you have!!! I had an orange tabby until 3 weeks ago and i had to have him put down. His name was Simon and he lived with me for 18 years. Hard times right now. He was so special. I love your Tabby’s name! I’d imagine getting tongue-tied and it would make calling him/her that much more fun. That is adorable!!! I bet your Tabby is adorable! My baby’s name is Chloe. She’s my son’s baby as well. When she was just a kitten and not our cat at the time she would wait for my son 6 years old walk home from school. Our careless neighbors got her for their son who could have cared less about her. The neighbors left her outside all the time and then when they found out they were having another baby never let her back inside. Winter came and Chloe was hungry and cold we let her in our house and cared and loved her. Come spring I finally saw our neighbors to let them know we had their cat they could have cared less so that’s when she became our baby!!! Orange cats are very loyal and definitely low key creatures. Aww, Mindy, I love this! Chloe was meant to be with you all. My orange boy is all 7 facts to a T….. his name is Gingee. He was next doors kitty, but visited me so often, he decided to stay!! Personality plus and I love him with all my heart.